Wonderful post Shannon. Beautiful work. I will never get enough of this. 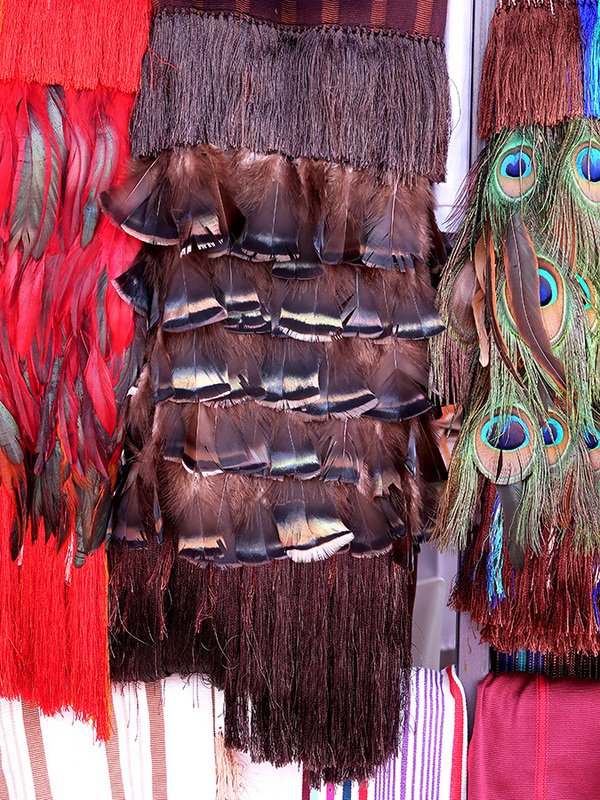 Thanks for sharing to those of us who can’t be there to soak in all this art and culture. Thanks, Sandi! The culture here never ceases to amaze me. So interesting, Shannon! 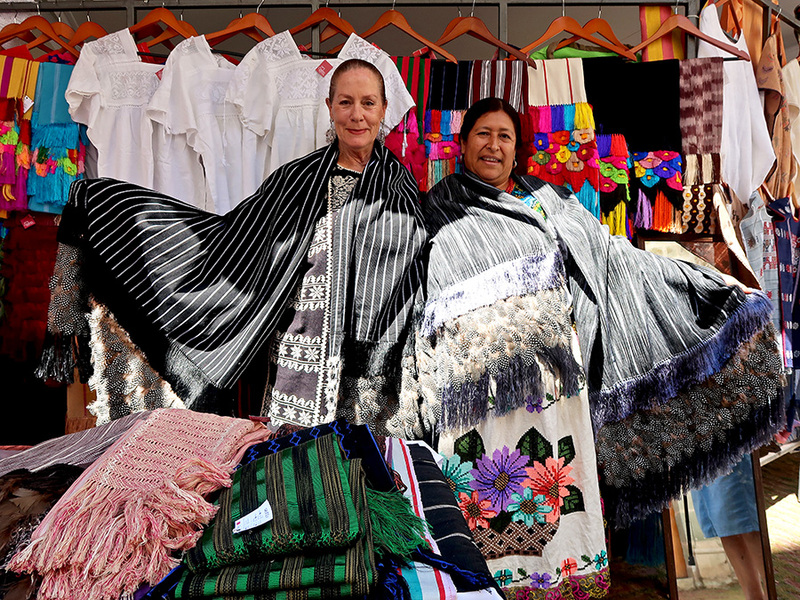 I was admiring those rebozos from afar, but didn’t know they came from Michoacán — a state that shines with culture and craft. Now I SO want to visit Michoacán! Maravilloso! I can see why you were awed. They were SO beautiful — pieces of art!!! Excellent post! Great to see Kalisa and the beautiful weavings! Thank you! 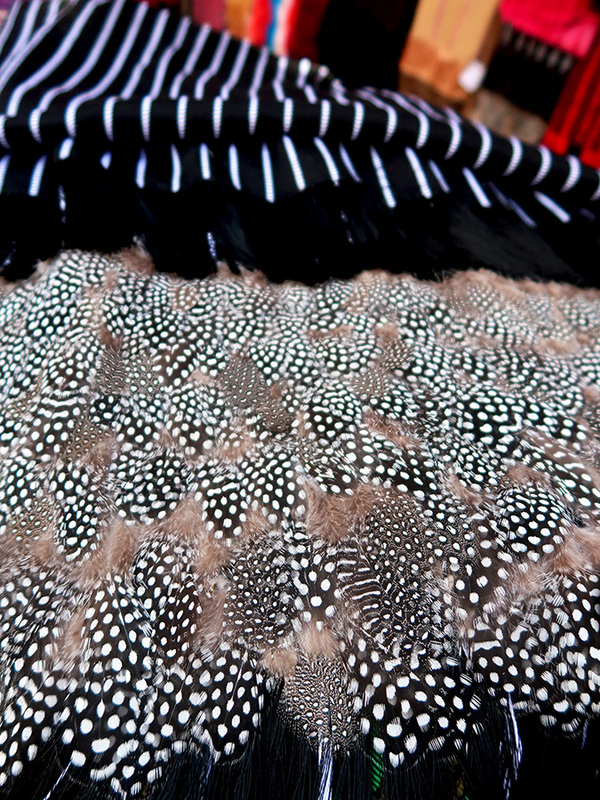 Grateful to Kalisa for introducing me to these amazing textiles. Gorgeous ! 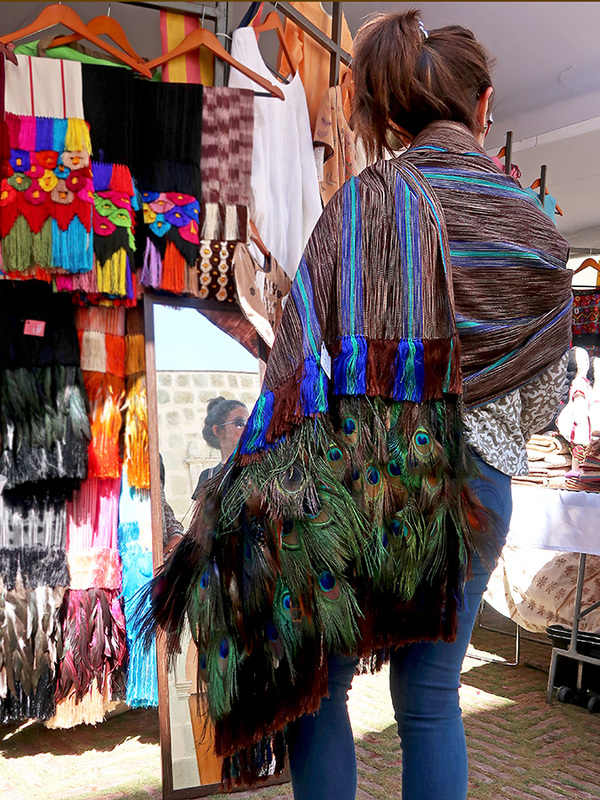 Made me get out my Michoacán rebozos, … but I don’t have any with the feathers, and I’m afraid I covet them. They are true works of art! Stunning! Wish I were there to see these works up close. I feel so lucky to see them up close and personal!